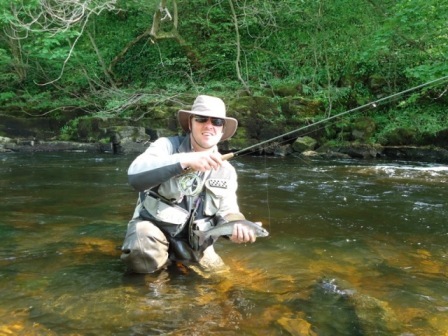 Onstream-guide is the creation of Jonathan Barnes multi England rivers International, former National Rivers champion, qualified level 2 game Angling Coach and world wide fly fisher. Our philosophy is wild fish in wild places! To find out more or ask about being guided please use the contact us form. I started my fly fishing career, aged 12 on a family holiday to the beautiful Lakes of Killarney in the south of Ireland. I turned to coarse fishing in the industrial North where I lived and was second in the Junior Nottinghamshire championship. My career took me North to Newcastle and the fantastic game rivers of that area. River fly fishing quickly became a passion. In 1999 I won the English National Rivers Fly Fishing Championship, on the river Teign and the following year won team gold representing England on the Welsh Dee. I river fly fished in Canada, the USA and even in the Himalayas (in Kashmir), Europe (Czech Republic, France) learning new techniques wherever I went. I’ve even recently turned to saltwater fly fishing because bonefish are simply amazing. 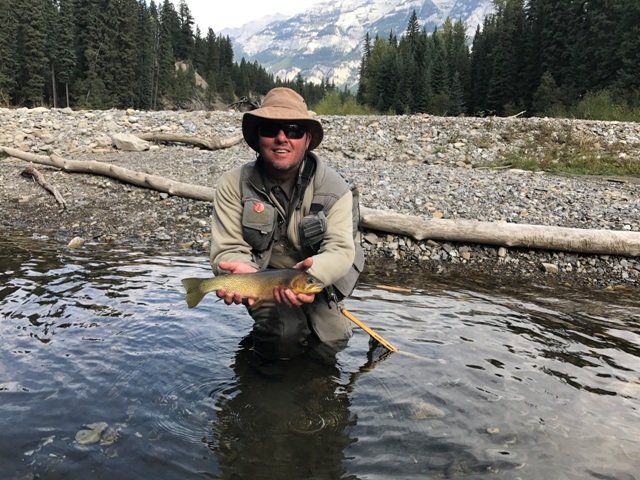 Not only do I love river fly fishing but I am passionate about showing others the joys involved in taking part in this exhilarating, absorbing life time sport. Please see our Testimonial Page. If you are interested in learning or improving your fly fishing and would like to be guided please get in touch via our Contact Us page. I am a qualified game angling coach (L2CCA) and regular contributor to Trout Fisherman Magazine the UK’s most read fly fishing monthly publication. I am fully insured and have the relevant DBS disclosure (formerly CRB certificate), first aid experience, child safeguarding training and am a trade member of the Angling Trust. We welcome inquiries from anybody regardless of age, gender, race or experience. Please enjoy our website. We are making updates and improvements all the time. And don't forget to visit our Onstream-Guide You Tube Channel! Now with over 4 million hits. We look forward to seeing you on a river somewhere soon.